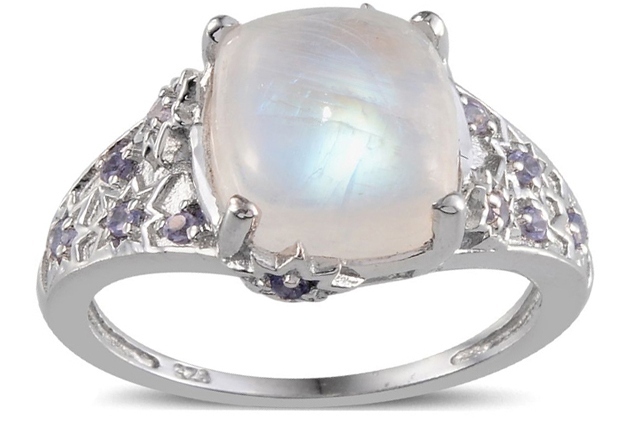 Luminescent and mysterious, the moonstone’s popularity stems from its shimmering otherworldly quality. The moonstone’s shifting luminescence and haunting blue-white colour, has meant that it’s been likened to the moon for thousands of years. Throughout history, the stone has had an association with the moon goddess and the night sky. Adularescence is the term given to describe the moonstones iridescent sheen. It’s caused by the intergrowth of two types of feldspar, which have different refractive indexes. The light reflected from these layers produces the blue luminescence that makes the moonstone so special. Moonstone has moh’s hardness of 6.5 that means it is very strong and durable gemstone that can be used in different shapes to craft different jewelleries. Before buying moonstone, keep check on cracks or visible chips. A genuine moonstone gives distinctive colours. If you place your moonstone jewelleries under the overhead Sun, you will notice the changing hues from different angles.